November 9, 2018 November 6, 2018 Lee Ann L.
There are times when our property is covered with an extremely heavy dew. As the sun rises, the land will blaze with sparkling water diamonds. It’s an absolutely beautiful sight to behold. 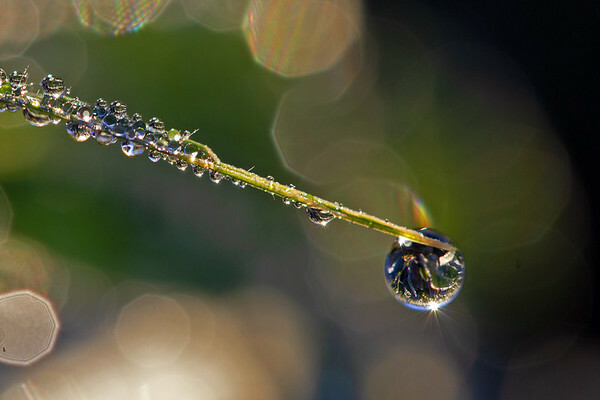 There is a very short time frame to see the dew sparkling. It’s a challenge to take pictures to demonstrate what I am seeing. It’s an even bigger challenge to take macro shots. Note: This challenge is week 44 of the year. To see all the submissions, including mine, go here. Warning! There are 677 pictures in this album. A person can only submit one picture for the week. This means 677 people participated this week. By the way, there are some awesome pictures in that album!